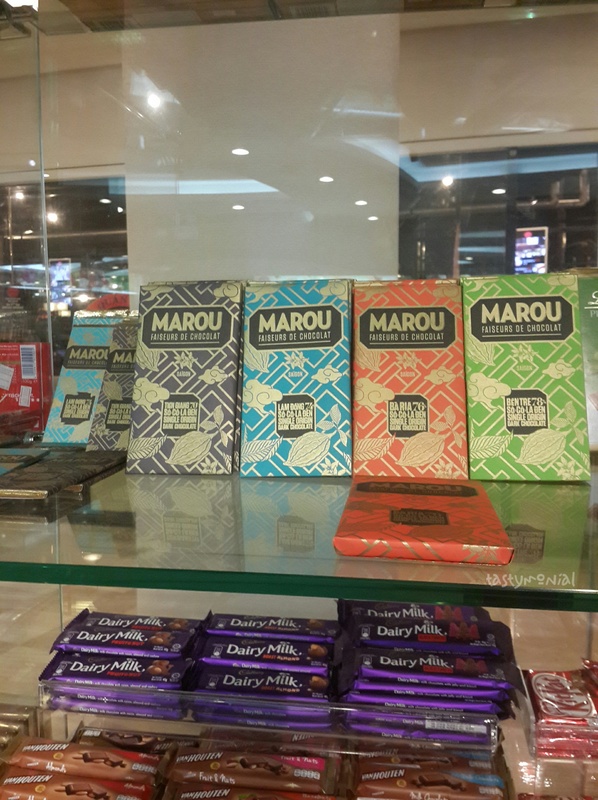 Marou is bean-to-bar chocolate brand I heard from my Vietnamese friend. She recommended this brand because she likes it. The interesting part is they only make dark chocolate. No milk chocolate or white chocolate. I love dark chocolate! So I thought I have to try this one. Apparently this chocolate is exclusive. I can’t find it in local supermarket. I need to go to a more specialized shop. The list of where to find this chocolate is here. They are available in other country as well. When I was walking around Kumho Asiana Building, I found this chocolate on one of the store there. There are 2 sizes, small pack and big pack. The small pack was sold for 50.000 vnd (or about USD 2.5). I bought the small pack just to try 😀 I pick the one with 70% cacao. Each of them is made of cacao from different area in Vietnam.